Corporate Workshops — Linda Peck M.Ed. 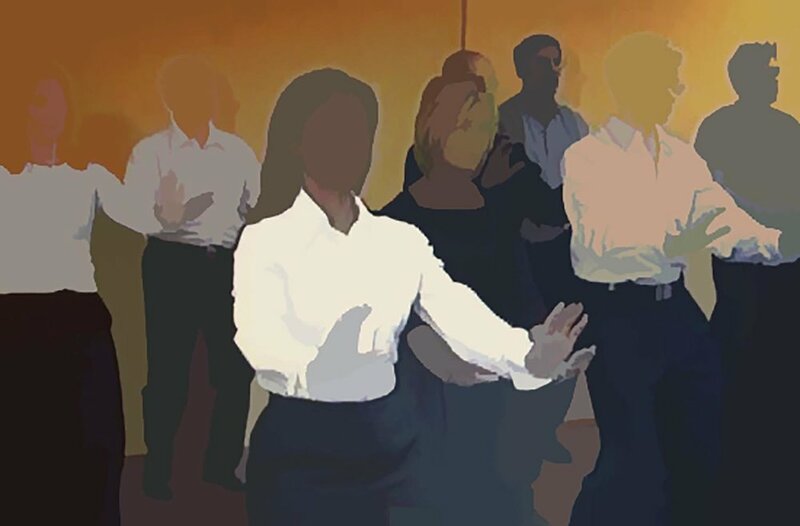 Linda offers Motivational corporate workshops using Mime, Mindfulness, Martial Arts and more. Workplace dynamics can be a slippery slope and it is helpful when we can all recognize ourselves within the context of a situation, as then we are able to see that everyone has one from which they think and act. It is then we can better understand one another and work collaboratively. Linda is available for both one-time workshops and long-term residencies. Linda has far-reaching experience working in Wellness and Corporate Communities and has been employed by Hewlett Packard, General Electric, MCI and more. Understanding how to influence without being forceful, this workshop will explore what to do in stressful business relationships or situations, how to respond and not react, and how to regulate our own physical tensions to allay stress, anxiety, and impeded performance. The mind and the body are essentially inseparable. Our mind and body are constantly communicating and the relationship between them is complex. Our minds affect how healthy our bodies are, and the inverse is true as well. Despite rigorous attention to our professional or personal lives, many things - for example stress, anxiety, cognitive fusion or habitual patterns of thought, among other things - can contribute to us missing signs and cues that can lead to a destructive direction. Anxiety has circuits that connect directly to pain response. Merging science and evidence-based practice, Chinese history and mindfulness with the wisdom of Tai Chi, this class is a system of flowing movements, Eastern medicine principles that address the whole body in preventative and curative fashion, and the practice of experiencing information coming into your senses in real time, not past or future. In this frenetic world, Tai Chi acts as a therapeutic, transformational system that helps us to move with the world in both a literal and physical sense, as well as in a more abstract tranquil sense. Through the art of Chinese brush painting, push hands, gestures, forms, mindfulness techniques and a new way of processing, participants are better equipped to handle stressful situations, are less often off-balance either physically, emotionally or mentally, and learn to respond more effectively to whatever is offered. As a basis, this seminar is designed to promote the circulation of Qi (energy), breath, blood flow, mind clarity, relaxed but laser concentration, insight, and neuroplasticity, which helps to rid participants of distractions, and eliminates un-productive, habitual patterns of thought, or treadmill mind. Learning about how the Chinese culture through art and a focus on mind-body practices, can lead us from distraction to satisfaction in our lives. It enhances communication, ways of knowing and sensing information, and acts to reframe our humanity. Understand the Chinese culture’s way of processing the world and the possibility of being powerful while simultaneously being soft. This includes the dichotomy of letting go and holding on. Relearn how to breathe, involving richer oxygenation of the blood, increased Qi circulation, lower heart rate and blood pressure. Become aware of unconscious patterns of thought and prevent unproductive patterns of thinking or habitual thoughts. Learn about maximum expression and outcome with minimum effort.